Nancy is a painter/sculptor working in acrylics and in found materials. 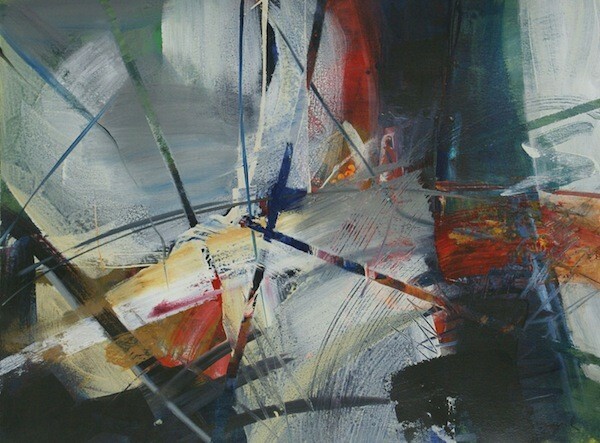 Her non-objective paintings begin with gestural marks and colours. Shapes emerge which are sometimes influenced by remembered landscape. 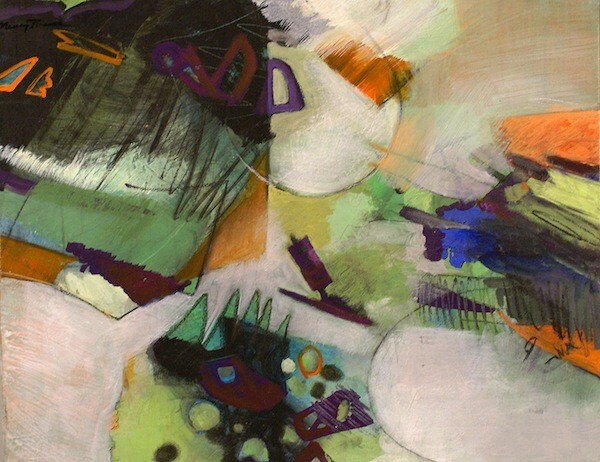 Spaces and colours interlock through layers of paint, charcoal, graphite and pastel. The outcome is unknown; eventually balance is achieved. It is hoped that the viewer will reflect on the vitality of the paintings as a catalyst for personal reflection. abstract landscape, loose and lively. abstract with some landscape imagery.